Talk about a game of two halves, totally on top in the first and with Shane Long scoring his first goal since last February. Then came the second half and Roy Hodgson completely outmanoeuvred MP2. From the moment McArthur scored for Palace in the 69th minute, there was only one team that was going to win the match and it wasn’t Saints. The first bad news came with the team selection, as Hoedt was missing, having suffered concussion at Old Trafford. In his place was Stephens, with Pied slotting into the right back place. Otherwise it was a case of ‘as you were’. From the start Saints were completely on top and could have had two, or three goals, by the time Long swept home a cross from Pied in the 17th minute. In fact, such was their dominance, that the halftime stats showed Saints with more than 70% possession. I will bet that there were a few fans who thought at halftime that we might go on to win by a greater margin, but this is the new Saints, where one goal is never, ever going to be enough. Almost immediately it became clear that something had changed. 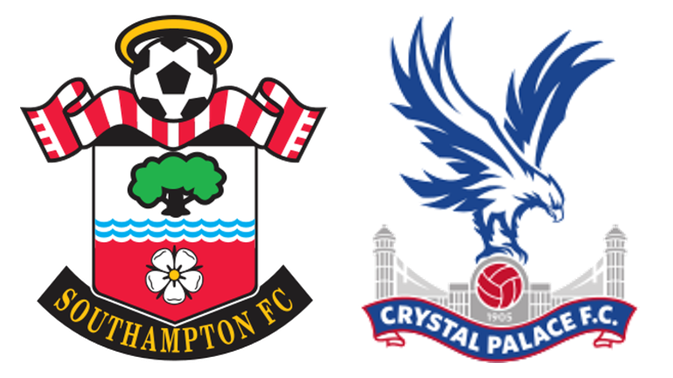 Saints looked tentative, whereas Palace looked transformed. At this point the only change to the personnel was that van Aanholt had replaced Cabaye, but the Wiley old fox, Roy Hodgson had changed the formation and Pellegrino was slow to realise what had happened. At 64 minutes he brought on Sako for Schlupp and the team was now a full 4-4-2 and Saints were overrun in defence. This paid almost immediate dividends, with McArthur volleying home for the equaliser in the 69th minute. Now Pellegrino reacted. He brought on Gabbiadini, Davis and Redmond for Højbjerg, Ward-Prowse and Tadić. This only made matters worse and they were now backpedaling under the onslaught. You just knew what was going to happen and sure enough, it did, in the 80th minute. Milivojevic curling in a shot from 25 yards, which McCarthy clearly thought was going wide. It wasn’t. The crowd started to drift away. According to Solent there were huge gaps in the stands by the end of the match. The Palace fans were naturally boisterous. A small amount of extra time cam and went. Saints were now all but in the bottom three of the Premier League, only saved that ignominy on goal difference. Make no mistake, unless someone does something soon, this club will be in the Championship next year.